Refund application can be submitted by a customer within 14 days after the receipt of an order and expiration of a deadline. If plagiarism is detected by the customer in the submitted paper, he can apply for refund without considering any time limits. Nevertheless, to prove that there is plagiarized content in the paper, the customer should send us a valid plagiarism report. *Turnitin and some of its related websites (iThenticate, WriteCheck) are among the sources that can be called reliable in terms of plagiarism detection. While Turnitin looks for real plagiarized content, many other similar websites consider quotes, references, table of contents, as well as parts of assignments as plagiarism. Moreover, handwritten comments provided by the customers cannot serve as a reliable proof as well. It is necessary to note that if a customer orders continuation paper, plagiarism detected in the customer’s writing will not be considered a reason for a refund. If, for some reasons, the needs of a customer were not satisfied, Refund Department would have to check the claim and make a decision regarding the correctness of such claim. In case the customer is right, he/she will get full or partial refund. The response is given to him/her within 3-4 business days. Free revision of the ordered paper is possible within 2 days (48 hours) after the deadline. If it is not applied for timely, a customer is requested to place an additional order. In case free revision is done by the writer, a customer loses his chance for a refund. Free revision within 30 days is possible only for 20+ pages papers. In order for free revision to be applicable, original instructions cannot be changed. If the materials to the order are provided after the completion of the order, a customer will be asked to place additional order. Sometimes, paper revision can take approximately 24 hours. For this reason, the customers should set a new deadline if they apply for free revision. To avoid confusions and misunderstandings, the customers are recommended to check their profiles and e-mails constantly. Very often, customers forget to attach necessary materials regarding their orders. Consequently, our writers may request for additional information via e-mails or private messages. When placing the order at our website, the customer can ask for ?Extended Revision?, which costs 30% of the total price of the ordered paper. The option will give the customers a possibility to extend free revision timeframe from 48 hours to 14 days. Still, it is important to note that the initial instructions are not allowed to be changed and the extra fee will not be refunded, if a revision request is not placed. A full refund is given to the customers in case they make a mistake by placing two identical orders or in case they are double charged for the same order. If you find yourself in a similar situation, contact our Support Team immediately. 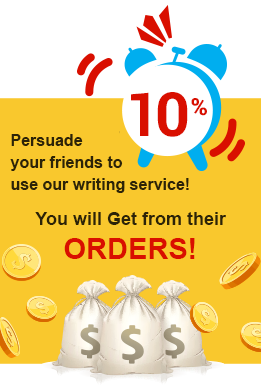 If, for some reasons, we fail to assign a writer for the specific order, 100% refund is possible. It is strictly forbidden for a customer to use any materials or papers provided by us if he receives a full refund. Incorrect number of pages indicated by a customer is one of the reasons for a partial refund. The refund will be calculated in accordance with the specifications of the word count. The refund percentage can be changed if a customer indicates inappropriate writing level while placing his order. In case the materials provided by the customers are considered as contradicting instructions/comments, the amount of the refund can be recalculated. *The order cannot be cancelled if 30% of the deadline is left. Furthermore, if the paper is already completed and uploaded by the writer, a customer cannot cancel the order. Late verification can become a serious problem for those customers who place urgent orders. The reason is that when the customers fail to verify themselves timely, the deadline of the paper begins from the moment of verification. Consequently, the client will have to extend the deadline or place another order. It is important to remember that pages in an ordered paper are counted in accordance with the number of words in it, where 300 words is equivalent to 1 page. At the same time, in technical papers, where numerous calculations have to be done, the word count is performed by the Writing Department, which calculates the price according to the complexity of order. In PowerPoint Presentations ordered from us, 100-150 words of speaker notes are provided for each slide. To calculate the number of words in online tests, the number of questions is considered (5 questions per 1 page). Moreover, multiple choice questions fall under the same category. In such way, 20 questions equal to 4 pages. Urgent orders with early delivery require compensation. If the paper has to be delivered prior to the deadline, out agent will recalculate its price and ask a customer to place an additional order. Nevertheless, a customer will not have a right to receive a refund for a paper in case a writer agrees to upload it earlier for free. If the customer receives his/her order after the deadline expiration without his/her approval, the customer can ask for at least a partial refund. In such case, pricing page at our official website will serve as a basis for price recalculation. In order to place an order at our website, a customer should indicate the order type he/she needs. In case a payment for the ordered services was not done, the refund cannot be applied for. When placing rewriting orders, which require a writer to paraphrase the text of a customer, the latter may ask for additional services, such as providing additional research, adding new sections, changing sources, etc. Consequently, a compensation order for such services should be placed. Every customer who orders services from Writology Limited is strongly recommended to check his/her profile and e-mails regularly. Such communication methods as messages and e-mails are necessary for improving the quality of the delivered papers.